The New York State Police will increase patrols to crack down on drunk and drugged driving and other traffic infractions over the Fourth of July holiday. 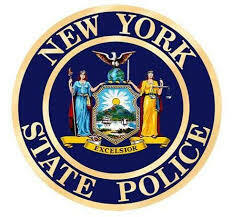 State Troopers will conduct sobriety checkpoints and target reckless and aggressive driving statewide in an effort to keep New York highways safe during one of the busiest summer holidays for travel. This special enforcement detail will begin on Saturday, June 30, 2018, and run through Thursday, July 5, 2018. Last year, the State Police issued nearly 10,500 vehicle and traffic tickets during the Fourth of July holiday. Troopers arrested 240 people for DWI and investigated 152 crashes, which resulted in three fatalities and 248 injuries. During the enforcement, drivers can expect a number of sobriety checkpoints and DWI patrols. Troopers will also be looking for motorists who are using their phones and other electronic devices while behind the wheel. Drivers should also remember to “move over” for stopped emergency and hazard vehicles stopped on the side of the road when they travel New York roadways. Data shows that the Fourth of July holiday period is especially deadly. According to the National Highway Traffic Safety Administration (NHTSA), during the July 4th period in 2015, 146 people died nationwide in alcohol related crashes. Two thirds of those crashes involved at least one driver with a blood alcohol concentration of .15 percent or higher which is almost twice the legal limit. If you drive drunk or drugged, you not only put your life and the lives of others at risk, you could face arrest, jail time, loss of your drivers license and substantial fines and attorney fees. The average drinking and driving arrest costs up to $10,000.